Keke Rosberg recorded the first win of his career at the Swiss Grand Prix, and in so doing moved into the lead of the drivers' championship. As can only happen in Formula One, the race itself was actually held in France as Switzerland had banned such events in the aftermath of the 1955 Le Mans tragedy. 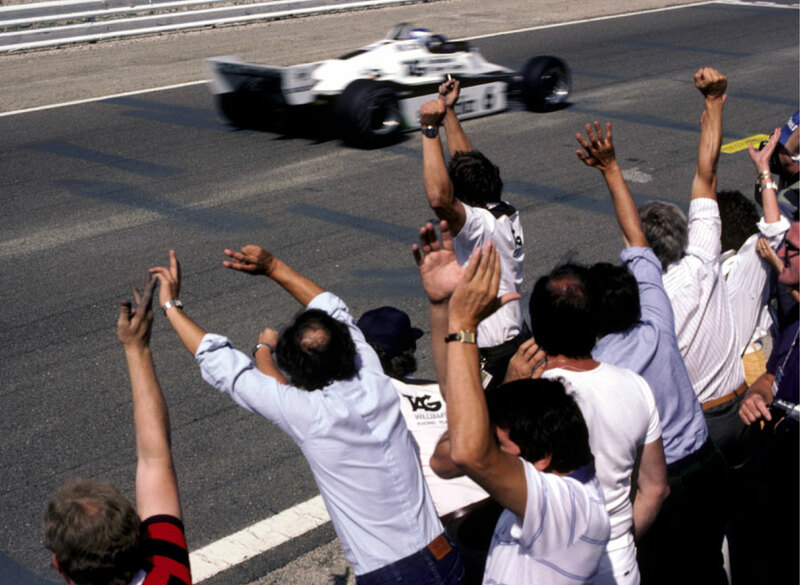 The French officials nearly spoiled Rosberg's day when they almost waved the chequered flag at local favourite Alain Prost when he led with two laps still to run. They were only stopped when Williams' Peter Collins spotted them and rushed over to point out the error. It was just as well. Long-time leader Prost was slowing and on the penultimate lap Rosberg passed him. But by this time the officials were all at sea and they allowed the race to continue for an extra lap. The eventual results were calculated over the original 80 lap distance. There was an odd situation at the start, as the grid was without a Ferrari. The team had entered one car after the accident to Pironi, but Patrick Tambay suffered a pinched nerve in his neck and withdrew on the morning of the race. Despite crashing in practice and being handed a reserve Renault, Rene Arnoux took the lead from the front row with pole-sitter Prost in second and Rosberg moving third. Those three stayed at the front - Prost having passed Arnoux - until six laps from the end when Arnoux was forced to quit with a misfiring engine. Rosberg was almost 20 seconds back after being checked by Andrea de Cesaris but Prost was battling handling problems caused by him running over a curb and could not hold off the challenge. Niki Lauda, whose challenge ended when he was forced to drive conservatively to preserve his disintegrating tyres, finished third, with the BMWs of Nelson Piquet and Riccardo Patrese in fourth and fifth respectively. The victory took Rosberg three points clear of Pironi and 11 ahead of Prost. But with Pironi in hospital, it meant that with two races remaining all Rosberg needed was one more win to secure the title.